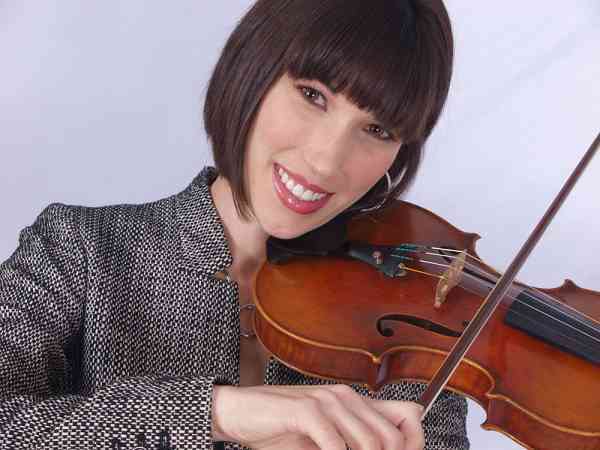 Violinist/violist Sarah Cecilio, a native of Winnipeg, Canada is classically trained and equally adept at playing various styles of fiddle music. She holds a Bachelor of Music in violin performance, a Master of Music degree in Violin Performance and Suzuki Pedagogy, and a Master of Art degree in Arts Management. Her Suzuki teacher trainers have included Joanne Bath, Kimberly Mier-Sims, Ed Kreitman, and John Kendall. Ms. Sarah has been teaching privately and in various music programs since 2004, including having been on the faculty at Levine Music, and the Director of Suzuki Outreach at Wahl-Coates Elementary School in Greenville, NC. She currently maintains a private Suzuki violin studio in Silver Spring with students as young as 3 years old. Additionally, she has Music Mind Games training and offers music theory as part of her group classes. Ms. Sarah has worked as a teacher and chamber music coach at several summer music programs, including the “Pre-College Summer Academy” at the Lamont School of Music in Denver, CO and “Strings the Thing” and “Fiddle Week” at the Penticton Academy of Music in British Columbia, Canada. As a performer Ms. Sarah is currently a member of the Takoma Ensemble and has played with many groups in the U.S. and internationally, most recently traveling to Brazil to perform with chamber and orchestral student groups from the University of Brazilia. She is a former member of the Fayetteville (NC) Symphony Orchestra, and performed as a regular substitute member with the Cedar Rapids Symphony Orchestra (IA) and the Waterloo-Cedar Falls Symphony Orchestra (IA). She continues to perform collaboratively on local, seasonal concerts designed for listeners (and performers!) of all ages and musical backgrounds.